co-operative of top city chefs will bring, what is believed to be, the UK’s first major food and drink festival with a deeper social purpose at heart back this September and at double the size, it was announced today. Let’s Eat Glasgow! was created by Real Food, Real Folk to celebrate the city’s international dining scene and the cream of food and drink produced across the West of Scotland whilst supporting social enterprises improving food nutrition across the city. The not for profit cooperative members – Cail Bruich, Crabshakk, Guy’s Restaurant, Mother India, Ox and Finch, Stravaigin, The Gannet and Ubiquitous Chip – donate their time to the weekend-long fiesta of food. Last year’s Let’s Eat Glasgow!, which is free to enter, was a huge success with over 7,000 visitors welcomed over the course of the weekend. Demand for the restaurant food, which was priced at only £5 per plate to give everyone the opportunity of tasting high quality restaurant food at festival prices, far exceeded expectation. Advance food vouchers sold out early and the eight Real Food, Real Folk restaurants served up 10,000 plates during the festival. 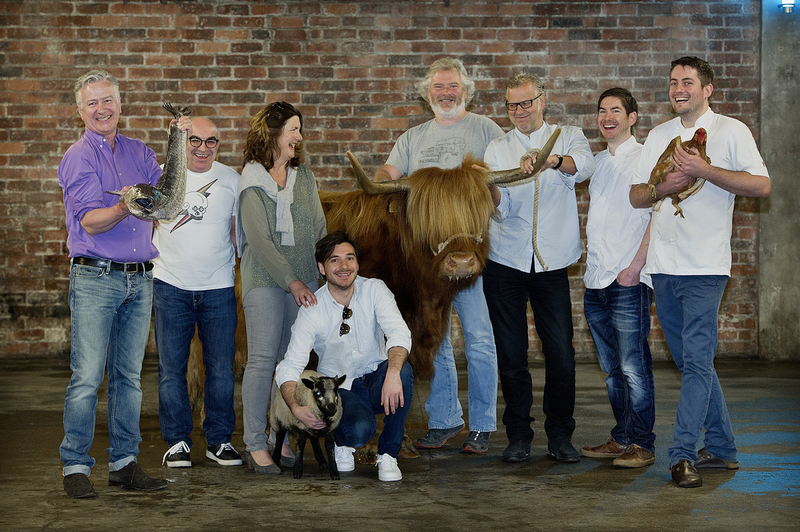 Let’s Eat Glasgow!, which will take place at SWG3, in Finnieston, again, will take visitors on a spectacular journey from ‘field to fork’. The former Customs and Excise tobacco bond will be transformed into a bustling market with livestock display, restaurant zone and pop-up market showcasing the best food and drink from across the West of Scotland and food-based social enterprises. Added to that, there’ll be a weekend long programme of cooking and butchery demonstrations by experts and celebrities as well as live music throughout. “With Let’s Eat Glasgow! we want to shout about great food and inspire everyone to discover and taste the amazing produce being grown, reared and cooked across the West of Scotland. “We want folk to come along, see, smell, taste and enjoy good food, leaving with some of the same passion we have for cooking with good, locally sourced produce. “In Glasgow, we can’t stage a festival like this without trying to do something about the very real food inequality still prevalent across our town. We are a long way from being a place where everyone has the choice and opportunity to eat well. This year, Real Food, Real Folk will bring eight like-minded guest restaurants to Let’s Eat Glasgow! The guest restaurants will also gift their time with all food sale profits going into Real Food, Real Folk fundraising. The guest restaurants will include Café Gandolfi, Hanoi Bike Shop, Martha’s and Eusebi’s. The full line-up of 16 restaurants will be announced next month. Restaurant plates will be priced at £5 like last year, with the addition of a number of £7.50 plates allowing the restaurants more scope. The pop-up market will again be a burst of flavours and aromas as 60 of the West of Scotland’s most innovative and exciting food and drink producers and foodie social enterprises come together in the city. The showcase will feature all categories of produce, from oysters, venison and rare breed pork, cheeses and artisan breads through to locally produced spirits and craft beers and delicious chocolates and ice creams. Producers back for 2016 include Great Glen Charcuterie, Clash Farm Pedigree Saddlebacks, Nethergate Larder, Sourdough Bakery, DifferentBreid (bakery), Dunlop Dairy, Aye Love Real Food, Dear Green Coffee, Avenue Coffee, Thorntonhall Ice Cream,Poporopo (gourmet popcorn), Stacy Sugar Wings and the Wee Fudge Company. Food-based social enterprises, which will once again be given free stand space at Let’s Eat Glasgow! to raise awareness of their work and sell produce, will include Slow Food West Scotland, Plan Bee and Bridgeton’s The East Ate. Real Food, Real Folk also plans once again to distribute 1,000 free vouchers for the restaurant food at the festival amongst social enterprises and foodbanks across the city. Last year recipients included the Glasgow City Mission, Maryhill Foodbank and Community Veterans Support in Govan. The weekend-long demonstration programme will feature last year’s popular mix of celebrities alongside guest chefs. Alex Norton, perhaps most well-known for playing DCI Matt Burke in Taggart, will be back again for a two-hander with Guy Cowan. Real Food, Real Folk also hopes to expand the livestock display which was a popular feature at last year’s event, to encourage people to think about where good food comes from and how much of it is available on their doorstep. The members of Real Food, Real Folk came together in late 2014 to find innovative, fresh and compelling ways to turn everyone on to great locally sourced food and drink and help everyone gain access to it. in-kind and financial sponsorship as well as the generosity of celebrities and guest chefs gifting their time to take part in the demonstration programme. Real Food, Real Folk is grateful to Scottish Enterprise, which has made an award to the festival for the second year running, allowing the members to begin to plan this September’s event. Profits from Let’s Eat Glasgow! will be distributed amongst food-based social enterprises working to raise food nutrition across the city. Real Food, Real Folk chefs also gift their time throughout the year supporting local community groups through mentoring, skills training and volunteering. 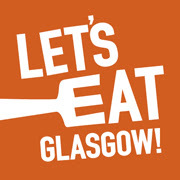 www.letseatglasgow.co.uk or get up to date news at Facebook or Twitter.